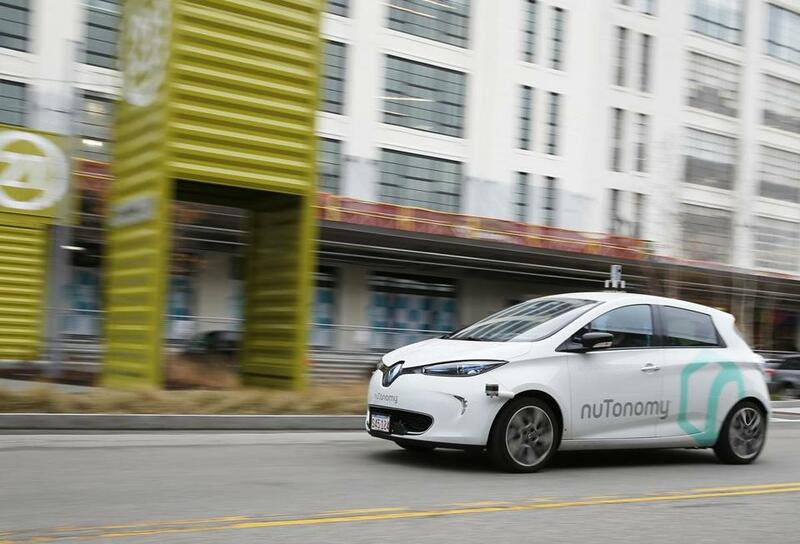 A NuTonomy driverless car drove along Drydock Avenue in South Boston last year. Self-driving cars have returned to the roads of Boston this week after a brief shutdown to review safety standards following the death of a pedestrian in Tempe, Ariz., where a woman was struck by an autonomous Uber car. But Massachusetts officials have delayed a plan to expand testing in the region. NuTonomy Inc. and Optimus Ride, two Boston-based companies testing the technology in the Seaport District, took a break last week at the request of city officials, who sought to better understand the companies’ safety procedures after the Uber crash. Since the accident, Uber has kept its self-driving cars off the road in Arizona, Toronto, Pittsburgh, and California. This week, Arizona, which has loudly championed a low-regulation environment for driverless companies, ordered Uber to keep its program halted in the wake of the death. Uber has also said it will not seek to extend its permit to test in California after it expires later this week. But in Boston, NuTonomy and Optimus Ride got the green light to resume operations from city officials Tuesday. The companies began testing the technology here last year, and nuTonomy offers rides to some members of the public through a partnership with the ride-hailing firm Lyft. Neither company has reported any incidents from their Boston tests. “We have met with our partners, nuTonomy and Optimus Ride, to review the testing policies and procedures that are mandatory components of the City of Boston’s program. With this safety review complete, Boston will allow autonomous-vehicle testing to resume,” said Boston Transportation Commissioner Gina Fiandaca. NuTonomy declined to comment beyond confirming resumption of its testing. Optimus Ride did not return requests for comment. Meanwhile, state officials were originally scheduled this week to sign a new agreement with a coalition of several Boston suburbs that would allow companies to apply to test self-driving vehicles on their streets. Now that deal won’t be sealed until at least late April. Amanda Linehan, a spokeswoman for the Metropolitan Area Planning Council, a regional agency involved with the agreement, said the delay is attributed to the Uber accident in Arizona. Among other standards, the Boston tests require a driver to be seated in the front seat at all times to take control of the car as needed. Arizona allowed companies to conduct tests without a so-called safety driver. But in the Tempe incident, a driver was in the front seat when the car hit the pedestrian. Video from the Arizona death showed that the vehicle did not slow down as it approached the woman, apparently failing to detect her in the late evening as she crossed a dark street with a bicycle.